Caterpillar® is the world’s largest manufacturer of mining equipment, and in eastern North Carolina, there’s only one place you’ll find the latest and most advanced tools and equipment for sale. At Gregory Poole, we have been a key partner to heavy industries in our region for over 65 years. With 5 locations serving the mining industry, we are well-positioned to offer both on- and off-site support to some of the biggest surface mining operations in our area. Cat mining equipment leads the industry in performance and productivity. 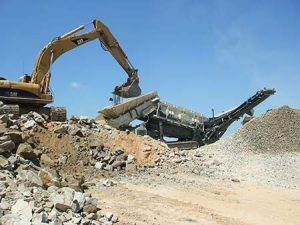 Your choice of a Cat machine — whether it’s a dozer, dragline, excavator or mining shovel — is one that can significantly lower your cost per ton. The most recent generation of Cat equipment is marked by notable improvements in fuel efficiency and operator comfort. By integrating advanced technology such as the ACERT™ engine platform, these achievements no longer have to come at the expense of productivity, either. When it’s time to upgrade your fleet, choose Cat equipment for any surface mining operation. Contact Gregory Poole directly for assistance or to arrange a demo. Integrated MineStar capabilities are just one example of how the latest Cat surface mining equipment is helping operators stay productive, efficient and safe. To learn more, contact a Gregory Poole mining sales representative today. Even the most advanced machines require regular maintenance to deliver reliable, cost-effective performance. Gregory Poole has a team of over 190 factory-trained technicians ready around the clock to respond to all of your service needs. One call is all it takes.